This valuable, attractive book is the beginner's passport to the colorful world of manga! 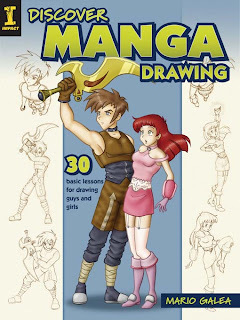 Mario Galea is an artist whose manga comic book, Ninja High School Yearbook, was published by Antarctic Press. He has designed promotional characters, logos and animation for many companies, and he also sells limited edition prints.